Barnes and Noble officially announced its third quarter earnings today that basically encompasses November, December, and January. This time frame is critical to any business to capture holiday sales, but more important to companies that sell ebooks. For the most part, the hardware sees the most activity in November and December and then ebook sales normally increase just after Christmas, leading until the end of January. Most people are buying the hardware and then purchasing new digital content. B&N has reported a 26% decrease in Nook Sales, but ebook sales had a 6.8% increase over the same period last year. NOOK EBITDA losses were $190 million for the third quarter, as compared to $83 million a year ago, primarily resulting from the previously noted sales shortfall, inventory charges, and higher operating expenses. The company recorded $59 million of additional inventory charges during the third quarter, as the holiday sales shortfall resulted in higher than anticipated levels of finished and unfinished goods. Operating expenses increased over the prior year on higher advertising costs. Barnes and Noble has experienced declining revenues for hardware and ebooks for the last full calender year and the company is looking to shake things up. The company is to re-calibrate its business model and has implemented a cost reduction program that the company projects will significantly reduce NOOK’s expenses. This includes cutting staff and scaling back on advertising costs. A company can only lose so much money consistently before they have to shake up their business model. I think one of Barnes and Noble’s biggest failings is that they limit themselves to only the USA and UK. These two countries have the MOST competition when it comes to the digital reader and ebook space. Amazon and Kobo have been expanding like crazy over the last year, with new markets in Europe, Japan, South America, China, and South Africa. It is critical that Barnes and Noble expands into other markets in order to facilitate growth. Unlike cell phones, people tend to buy an e-reader and stick with it for a number of years before upgrading. It is becoming increasingly difficult for any company to rely on the sale of hardware to be profitable, unless you are entering a new market for the first time. [showhide type=’pressrelease’]New York, NY (February 28, 2013)—Barnes & Noble, Inc. (NYSE: BKS) today reported sales and earnings for its fiscal 2013 third quarter ended January 26, 2013. Third quarter consolidated revenues were $2.2 billion, a decrease of 8.8% as compared to the prior year. Third quarter consolidated earnings before interest, taxes, depreciation and amortization (EBITDA) were $55 million, as compared to $150 million a year ago. Third quarter consolidated net losses were $6.1 million, as compared to net earnings of $52 million a year ago. Third quarter results were adversely impacted by NOOK inventory charges and promotional allowances discussed below in the NOOK section. Third quarter net losses were $0.18 per share, which includes the impact of the dividend on redeemable preferred shares, as compared to net earnings of $0.71 per share a year ago. On January 23, 2013, the company announced the completion of its strategic partnership with Pearson, which invested $89.5 million in NOOK Media LLC for preferred membership interests representing a 5% equity stake. Following the closing of the transaction, Barnes & Noble now owns approximately 78.2% of the NOOK Media subsidiary and Microsoft, which also holds preferred membership interests, owns approximately 16.8%. The company ended the third quarter with cash of $214 million and no borrowings under its $1 billion Revolving Credit facility, as compared to a net debt position of $74 million a year ago. The Retail segment, which consists of the Barnes & Noble bookstores and BN.com businesses, had revenues of $1.5 billion for the quarter, decreasing 10.3% over the prior year. This decrease was attributable to a 7.3% decline in comparable store sales, store closures and lower online sales. Core comparable store sales, which exclude sales of NOOK products, decreased 2.2% as compared to the prior year. 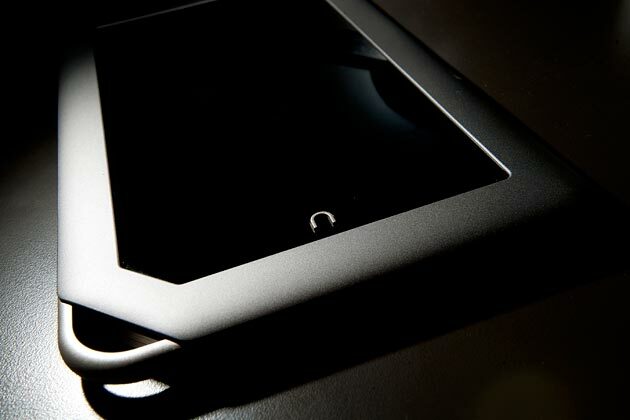 Sales of NOOK products in the Retail segment declined during the quarter due to lower unit volume. Despite the sales decline, Retail EBITDA increased 7.3%, from $198 million to $212 million during the third quarter, resulting from a higher sales mix of higher margin core products and expense management. The College segment, which consists of the Barnes & Noble College bookstores business, had revenues of $517 million, decreasing 1.6% as compared to a year ago. Comparable College store sales decreased 5.2% for the third quarter as compared to the prior year period, as the back-to-school rush season extended past the close of the company’s third fiscal quarter. Factoring in the two additional weeks in February that contributed to this year’s rush season, comparable store sales decreased 2.1% for the quarter. College comparable store sales reflect the retail selling price of a new or used textbook when rented, rather than solely the rental fee received and amortized over the rental period. College EBITDA decreased $1.3 million during the quarter as compared to a year ago to $34 million. College’s product margins improved during the quarter on a higher mix of higher margin textbook rentals, while expenses increased due to new store growth and continued investments in digital education. The NOOK segment, which consists of the company’s digital business (including devices, digital content and accessories), had revenues of $316 million for the quarter. This represents a decline of 26% as compared to the same period a year ago, primarily as a result of lower device unit volume. In addition, the company recorded $21 million of incremental channel partner returns given the holiday sales shortfall, as well as $15 million of promotional allowances to optimize future sales opportunities. Digital content sales increased 6.8% for the third quarter over the prior year. In response to the device sales shortfall over the holiday season, NOOK is calibrating its business model and has implemented a cost reduction program that the company projects will significantly reduce NOOK’s expenses. For fiscal year 2013, the company continues to expect Retail comparable bookstore sales to decline on a percentage basis in the low- to mid-single digits. College comparable store sales are now expected to decline on a percentage basis in the low single digits. NOOK Media revenues, which includes the NOOK and College businesses, are expected to be approximately $2.5 billion. The company expects fourth quarter NOOK segment EBITDA losses to be comparable to last year’s fourth quarter loss. On February 25, 2013, the company announced that its Board of Directors has received notice from Mr. Leonard Riggio, the Company’s founder, largest stockholder and Chairman of the Board, that Mr. Riggio plans to propose to purchase all of the assets of the retail business of Barnes & Noble. The process of evaluating a proposal and negotiation of any transaction will be overseen by a Strategic Committee of three independent directors: David G. Golden, David A. Wilson and Patricia L. Higgins, who is Chair of the Strategic Committee. There can be no assurance that the review of Mr. Riggio’s proposal or the consideration of any transaction will result in a sale of the retail business or in any other transaction. There is no timetable for the Strategic Committee’s review. The Company does not intend to comment further regarding the evaluation of Mr. Riggio’s proposal, unless and until definitive agreements for a transaction are entered into or the Strategic Committee determines to conclude the process.